I’ve been a marketing and advertising executive for thirty years. My mother, Sarah, introduced me to yoga as a kid and it became a way for me to balance the high-stress demands of the advertising industry. The more yoga I did, the more I fell in love with it. After recognizing the amazing impact of yoga on my own life and the critical role it played in the quality of my mother’s life as she suffered from Alzheimer’s, I decided to become a yoga instructor in 2010. My own life experiences sparked my deep interest in learning about the relationship between yoga and the brain. 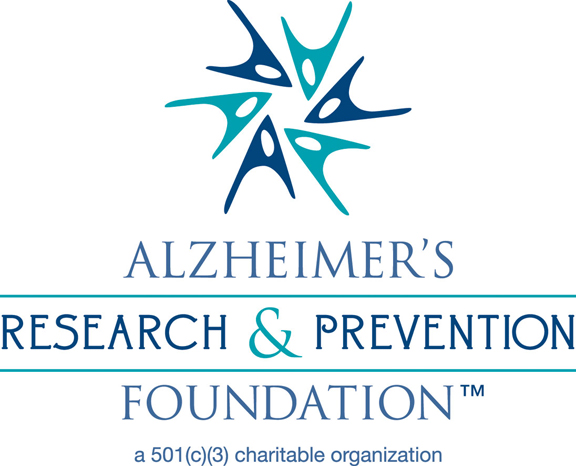 In my research, I came upon the Alzheimer’s Research and Prevention Foundation (ARPF) in Tucson, Arizona. Notice the word Prevention in their name. While other Alzheimer’s organizations are focused on lobbying and finding a cure (both very important), ARPF’s mission is to identify and research lifestyle choices that can ward off diseases like Alzheimer’s. 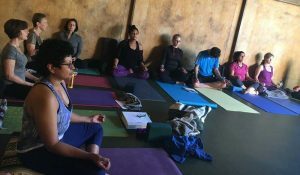 One of their most interesting studies, in partnership with institutions such as UCLA and the University of Pennsylvania, is centered on a 12-minute meditation called Kirtan Kriya. This groundbreaking research, published in the Journal of Alzheimer’s Disease and The Journal of Alternative and Complementary Medicine, was conducted on people with memory loss and their caregivers and shows significant improvements related to memory, blood flow to the brain, moods and emotions. I added this meditation to my own practice and became a national outreach representative for ARPF, sharing their important research and materials at my own events. A portion of our proceeds goes to support this organization. Sarasvate became the way I could share the Kirtan Kriya with others along with other specific yogic practices that can energize, calm, focus, increase oxygen intake, improve sleep – all things related to clear thinking, good memory, and focused attention. Easy, practical tools you can do in your daily life. My workshops and presentations are highly participatory and engaging. 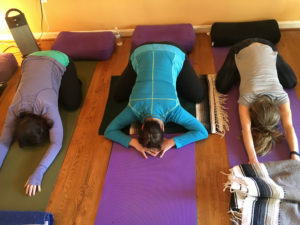 Depending on the audience and the venue, they can be lecture style or include a yoga practice tailored to the capabilities and needs of the audience. Basically, I love to share. 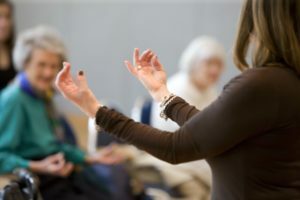 In addition to sessions at senior centers and living communities, yoga studios and organizations, I bring the message and mission of Sarasvate to speaking engagements across the country. Sarasvate is derived from the Sanskrit word Sarasvati (in Hindu it’s Saraswati), meaning the goddess of learning and wisdom, and is often considered the face of the divine mother. I created Sarasvate in honor of my mother, Sarah, a former elementary school teacher. I lost her to Alzheimer’s in 2011. I founded Sarasvate in 2012. Jane is a certified yoga teacher, executive, speaker, and mom. She is a 500 RYT, which means she has completed 500+ hours of training and is registered with Yoga Alliance. Jane teaches weekly classes for general and senior audiences. She continues to train regularly and earned a Certificate of Completion from Duke University’s Integrative Yoga for Seniors program. 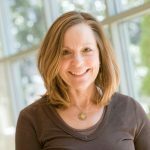 She has been an invited speaker at conferences such as the Alzheimer’s Disease Resource Center Annual Education Conference, the Alzheimer’s Foundation of America’s Concepts in Care Educational Conference and the Smithsonian Associates and Therapeutic Yoga of Greater Washington’s Yoga as Lifestyle Medicine two day immersion.